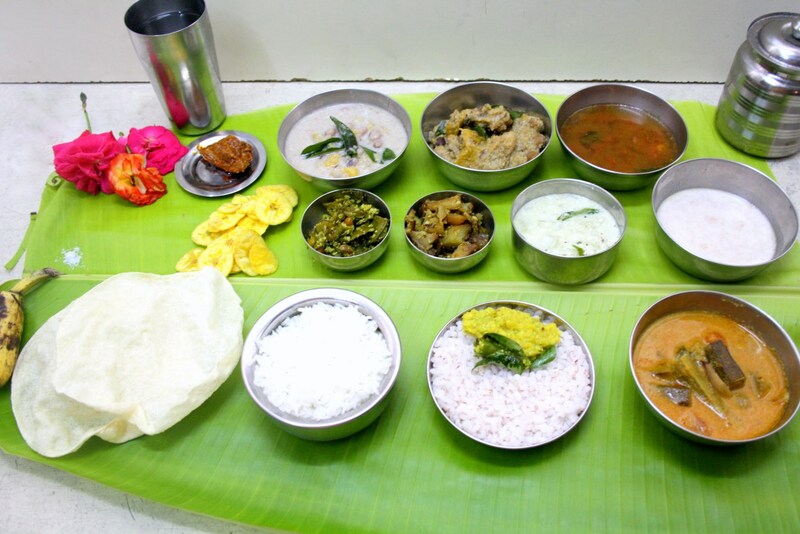 This happened with the Onam Kerala Sadya Feast I prepared. Though I read that Potato Thoran is not traditionally included in the Ona Sadya, I thought it will help to have this served too. Trust me, it surely helped. The Avarakkai Thoran that was planned, is not my Hubby dear’s favorite vegetable. So he was happy getting a potato instead. 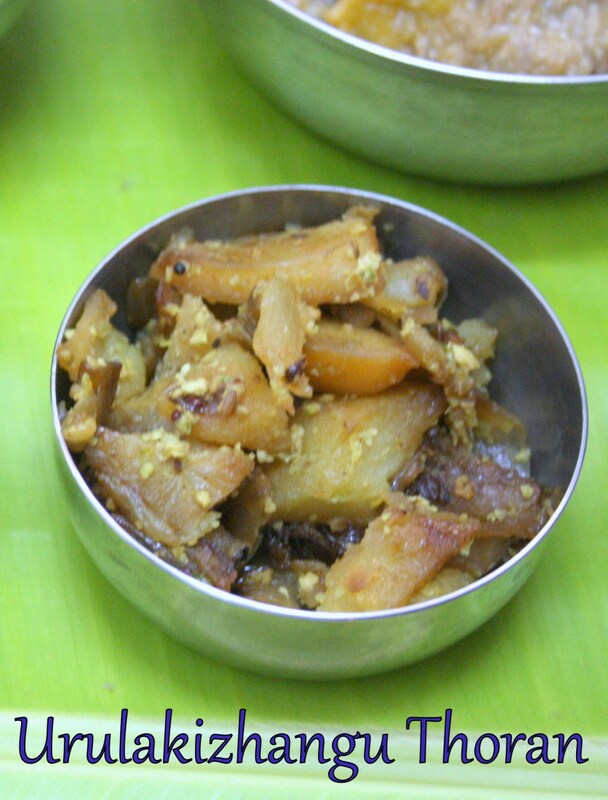 Thoran with potatoes, never tried or had..will make it soon. 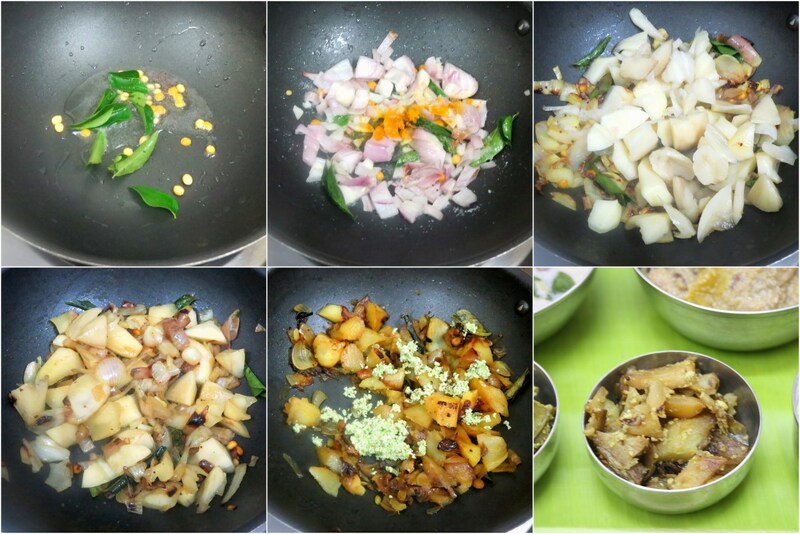 It is amazing how many variations you can find to the potato sauté side. Potatoes in all forms are welcome in my home and liking this variation too. Who can say no to potatoes!! Wo during how they tasted wih that coconut paste! Love all the kerala style thorans. I never even imagined that there we can make a poriyal with coconut and potato. Seeing it for the first time and now I am eager to try it out. I made a potato curry with coconut some time back from Dakshin cookbook. I thought it was pretty common to add coconut in potato curries in TN and Kerala. But I guess I was wrong. Your potato poriyal looks yummy! !